Made for Ludum Dare 34! Left Mouse: Click to place a rocket and drag to aim it. Release to fire! 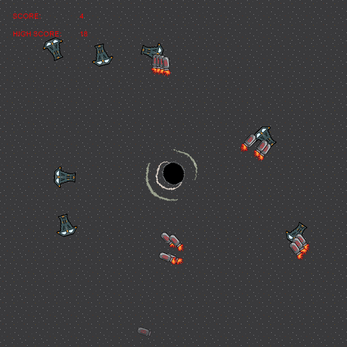 Right Mouse: Destroy all active rockets! 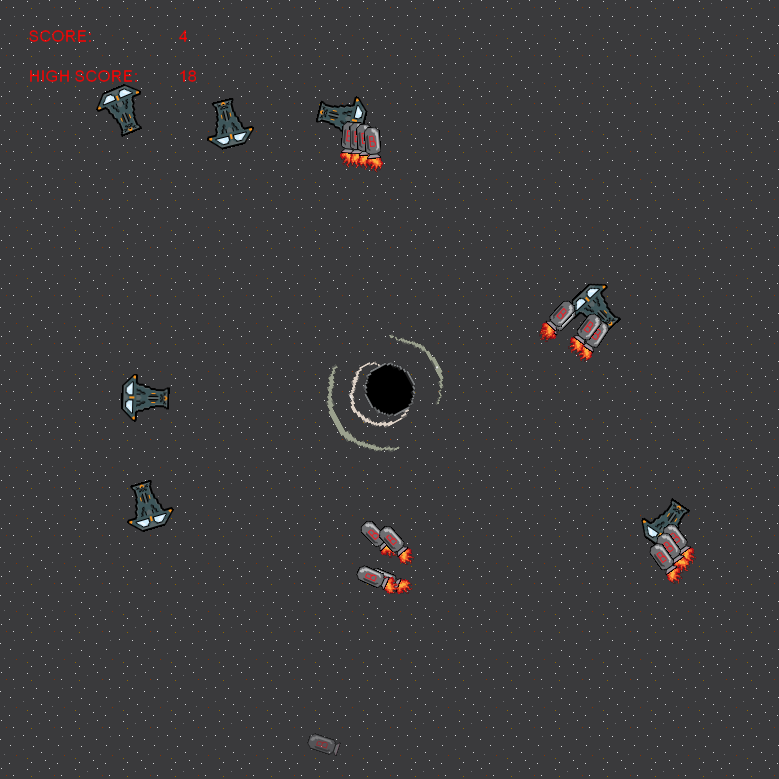 Push as many incoming ships off screen using your rockets to prevent them from being destroyed by the black hole!